The Council for the Regulation of Engineering in Nigeria (COREN) has advised Nigerians to stop patronising quacks for building and construction jobs to avoid incidences of collapsed buildings and failed road projects. The Inspection Officer of COREN in the state, Mr Daniel Adown, gave the advice when he inspected the 16km Ganaja-Otokiti Village by-pass road. The road was being constructed by the Kogi Government to open up the state capital. Adown said the incidences of collapsed buildings in Nigeria in recent times could be traced to the use of quacks instead of professionals who were conscious of their calling. “One advice we give to our clients is that there are situations where jobs are given to non-professionals who do not know the basics of the job and the contractor in turn sublets the project to those who have the equipment. He noted that irregular practices and contracts would impact negatively on the finished project as quality would be compromised. The COREN official described a situation where a petroleum engineer was recruited as a supervisor in a building or road project, while a civil engineer was given the work of structural design as highly irregular. He, however, said that the story in the industry was not all bad as there were well-trained Nigerian engineers who were living up to expectation. As regards the project he was inspecting, Adown said it was part of the functions of the council as established by the Federal Government to monitor and regulate engineering practices in Nigeria. He said that the Lokoja zone of COREN was carrying out one of its ‎obligations by inspecting ‎the road project to assess what was going on. “We are interested in seeing the professionals behind the project. Part of our inquiry is to know whether the engineers on site are quacks or properly trained. “We will also try to check some of their equipment and if they have a laboratory for testing the quality of jobs being carried out. “These are some of the things we intend to assess, and we are also going round the state to check all ongoing engineering projects for checks and balances,’’ the inspection officer said. He commended the contractors on the road project for the level of equipment deployed and the standard laboratory put on ground for analysing materials, saying they were up to date. Adown said he was confident that based on the level of progress on the project, it would be a masterpiece when completed. He emphasised that the inspection of projects was continuous, adding that it was a nationwide project for COREN. The inspection officer warned that the council would bring anyone responsible for collapsed project to book as its national president had stated severally. “Sometimes the fault is from the contractor or from the consulting engineers; we can even indict the resident government engineer. 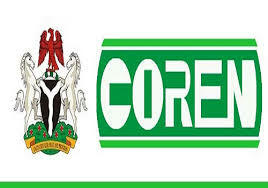 “COREN has a disciplinary committee at its headquarters that can try all defaulters on shoddy projects to serve as deterrent to the others. “When you hear situation reports of collapsed buildings, it is usually our colleagues that expose the faulty lines,’’ he said.